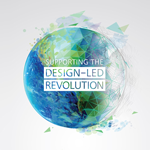 Over the past year I’ve been fortunate to collaborate with the sustainability team at Autodesk to envision their support for the design-led revolution. Haven’t heard of it? You may not know the DLR moniker, but you’ve seen revolutionary design in action. From affordable prosthetics to solar robotics, high-impact solutions are emerging everywhere. And just in the nick of time! The reinvention needed to make our planet livable for 9 billion is immense, and I love that Autodesk is committed to helping designers, architects, builders, engineers, and entrepreneurs reshape our world. We need more companies like this leading the way. Their aim isn’t only to raise awareness about epic challenges and inspire people to do what’s right, although that’s certainly a big part of it. It’s also about helping designers and companies get ahead of the inevitable resource shortages, urbanization, and climate change coming our way. To stay relevant — and profitable — in the future, you must start thinking differently now. So, how will you design a better future? Credit where credit’s due: The awesome folks at Free Range are the storytellers behind the design-led revolution video, manifesto, and hero case studies.